You've probably heard the term slip and fall or trip and fall before in regards to lawsuits, but you may not be aware what such legal cases mean. That's understandable since the law is not always straightforward. When you speak with a Los Angeles injury attorney, you can get very detailed information about these kinds of legal cases. Right now, we'd like to go over the basics of slip and fall accidents so you have a general understanding of what these cases involve and why we need to take them seriously. A slip and fall accident refers to an injury sustained on another person's property due to improper maintenance or upkeep of said property. This can apply to businesses as well as private property. When you come to our personal injury lawyers in Torrance with your case, we will work diligently to ensure that justice is served. One common example of a slip and fall accident is when there is a wet floor at a store (such as a supermarket) that is not mopped up or marked in some way. If a person slips on this wet spot on the floor, the owner of the property can be held accountable for any injury sustained. Similarly, the failure to clear wires, cords, and other debris from the floor of the property can also lead to a slip, trip, or fall injury. If an extension cord is left in a walkway or hallway, for instance, this can pose a hazard to visitors or customers. Slip and fall accidents often fall under premises liability cases. These kinds of lawsuits encompass any sort of negligence on the part of a property owner that leads to injuries to visitors (e.g., exposed electrical wiring causing electrocution injuries, failure to post warning signs). 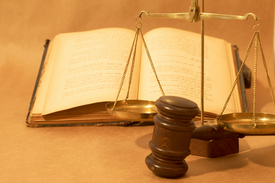 Getting a Los Angeles premises liability attorney can make all the difference in your case. While many slip and fall accidents tend to result in sprains, contusions, and fractures, some can prove very serious. Sometimes spinal cord and neck injuries have occurred in slip and fall accidents, both of which can result in paraplegia or quadriplegia in extremely serious cases. Head injuries and brain injuries have also been known to occur in slip and fall accidents. In serious cases, such injuries can lead to lasting physical disability and cognitive problems. If you or someone that you love has been injured due to a property owner's negligence, do not take it lightly. You should get legal experts on your side who will fight diligently for you and your legal entitlements. We will help you receive just compensation and achieve peace of mind in the process. For more information about slip and fall accidents and other sorts of injuries that can occur as a result of negligence, be sure to speak with a personal injury lawyer serving Los Angeles. By seeking legal help, you will be able to receive just compensation for losses and peace of mind.